As we age, the need for medical care and assisted living becomes increasingly apparent. Costly procedures and living arrangements can quickly diminish a lifetime’s worth of retirement savings without proper Medicaid estate planning. 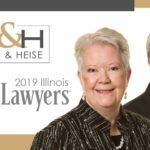 If you are concerned about the estate of a loved one or the integrity of your own estate contact Bush & Heise, Attorneys At Law, in Barrington, Illinois, to receive a free initial consultation and honest assessment of your situation. Elder Law is a very broad term that applies to different areas of law which are important considerations for elderly clients. As we all grow older, and many of us live much longer than our ancestors, this category of law becomes essential for our serious consideration. Depending our personal circumstances, there are many interrelated areas of law which must be considered at different times of our lives. It is important that every adult have a plan to distribute their assets to the individuals and/or charities who will receive them. Through this plan the you will name the individuals who will be in charge of making sure that your wishes are carried out if you should become incompetent or die. The most important reason for you to have a will is to be able to name guardians for your minor children should you die. As you grow older and the value of your assets increase, it is important to provide for the avoidance of probate and to minimize estate taxes. Through the use of certain estate planning devices, the elder law attorney can also provide for the possibility that you should become incompetent and make sure that you can name someone to manage your estate when you are not able to do so. Without a disability plan, you and your assets will end up in a court-appointed supervised guardianship, which is discussed in another section of this site. There are several documents which you need to have in force in order to avoid the necessity of having a court-appointed guardian. These would include a Power of Attorney for Healthcare, a Power of Attorney for Property and a Revocable Living Trust. Through these documents you will name the individuals you want to manage your life when you are not able to do so and without court supervision. This planning encompasses the legal needs of disabled individuals, including both children and adults. In many cases these individuals will be eligible to receive government benefits (state, federal and veteran’s) due to a physical and/or mental disability. However, if these individuals receive assets through a gift or inheritance, then they may no longer qualify for any government assistance. It is important to understand that if you want a special needs individual to receive a part of your estate, then you will need to do specific planning to ensure that the individual will continue to receive government assistance. There is a common misconception that the only way to qualify for Medicaid and to receive benefits to assist with nursing home and /or home care expenses is to spend down savings until the requirements are met. Depending on your circumstances, however, more appropriate options may be available. The importance of planning for Medicaid while you are still in good health cannot be overstated. It takes time to assess your financial situation and to determine the best ways to reorganize your assets to qualify for Medicaid. You must remember that there is a five-year look-back period. When you apply for Medicaid, the government will review your financial situation over the five years prior to the date of your application. For this reason, it is important to have proper planning completed at least five years before you need to apply for Medicaid. Probate is the court-supervised process for settling a deceased person’s estate. Probate may not be necessary depending upon whether you have done the proper planning prior to your death. If a member of your family did not do the proper planning to avoid probate, you will need a legal professional to help you with the Probate process. We are available to help you through this process. If you have completed the planning necessary to avoid probate, you will likely have completed trusts which will be managed by the individuals you have selected to manage your estate according to your wishes after you die. We can also assist trustees in the management of the trusts which you have set up. The proliferation of abuse of seniors in this country is extremely disturbing. Family members, home health care workers, nursing home workers and others have committed physical abuse against seniors and continue to do so. Obviously, this type of abuse will be handled by the police and the State’s Attorneys once it is discovered and prosecuted. However, the discovery of this abuse can be very difficult and the proof against the abusers can be extremely complicated. Financial abuse is usually committed by family members who take their shares before they are entitled so that other family members don’t get their shares. Con men also take advantage of seniors all of the time. You have heard about them on the news. Our goal is to find any abuse that may be occurring against our clients. This abuse is inexcusable. 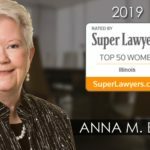 A Barrington elder law attorney at our firm is ready to assist you or your family member in a variety of legal matters affecting older individuals. We frequently help clients qualify for Medicaid benefits, assist in making decisions about when a family member should go into a nursing home, and establish living trusts, living wills and health care powers of attorney. We also assist in Medicaid estate planning with regard to medical treatment and other miscellaneous expenses, and we can help to resolve disputes arising from such decisions. Our lawyers have over 40 years of experience assisting clients with elder law matters. We actively seek alternatives and devise unique resolutions for your legal situation.